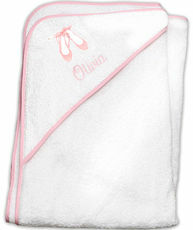 An adorable white cotton terry velour bath towel with your choice of ribbon color. 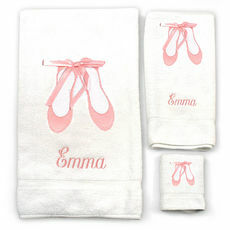 You also select color of embroidery for name or monogram! 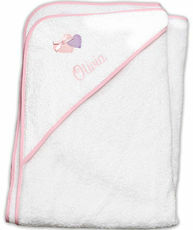 Towel size is 52" X 26". 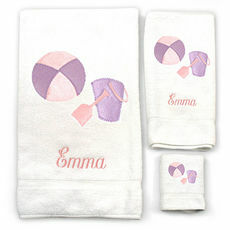 Positioning of..
Personalized towels and robes have long been a sign of luxury, and our towels, robes and spa wraps are as practical as they are indulgent. 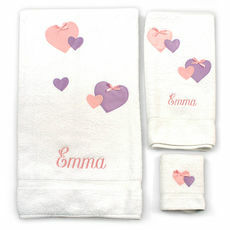 We make it easy to give yourself a little something special or give one as a gift. 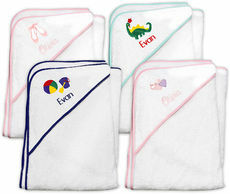 Our personalized bath accessories will make anyone feel special. 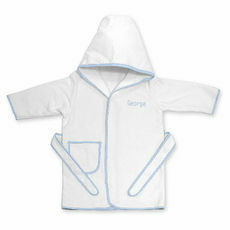 Choose from materials like spa waffle weave, terry and soft terry velour. 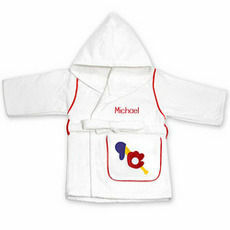 Our robes are available in both children's and adult sizes with options like graphics and trim. 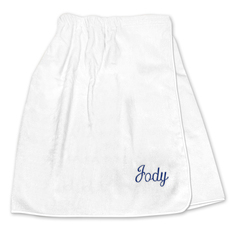 You might surprise your family with a set of personalized beach towels before a summer vacation or send your little one off to summer camp with a customized robe as a reminder of home. 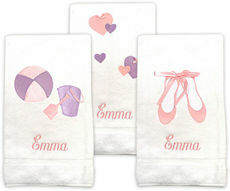 With our range of colors, trims and embroidery options, it is easy to make everyone happy. 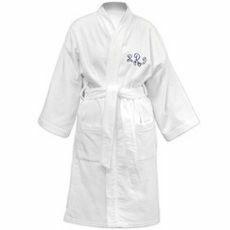 Robes and towels are a great gift no matter what the occasion is. You may want to give a personalized set to a happy couple as a wedding present so that they can start their new lives together in style. 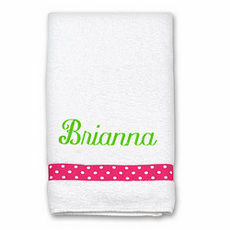 At your own wedding, monogrammed robes and spa wraps make a unique gift for your bridesmaids and groomsmen. 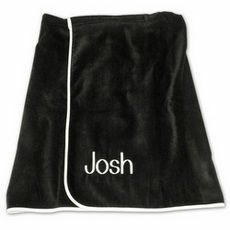 Gifting a personalized robe is a great way to show you care. 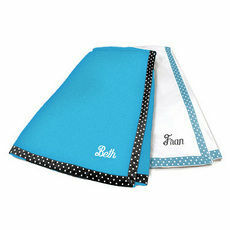 You can even bundle a monogrammed spa wrap with a spa gift certificate to complete the experience. 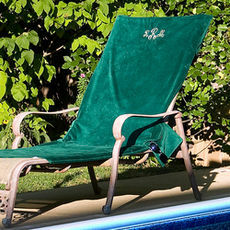 We also offer some really unique and luxurious Cotton Terry Velour Lounge Chair Covers which come in many colors and can feature a family last name embroidered on it or a monogram. 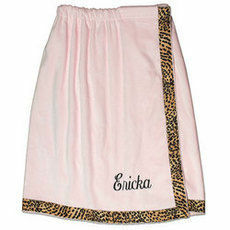 Soft and absorbent, these make lounging in the sun so comfortable and features include 2 side pockets with velcro closures for keys, glasses, suntan oil bottles and more.